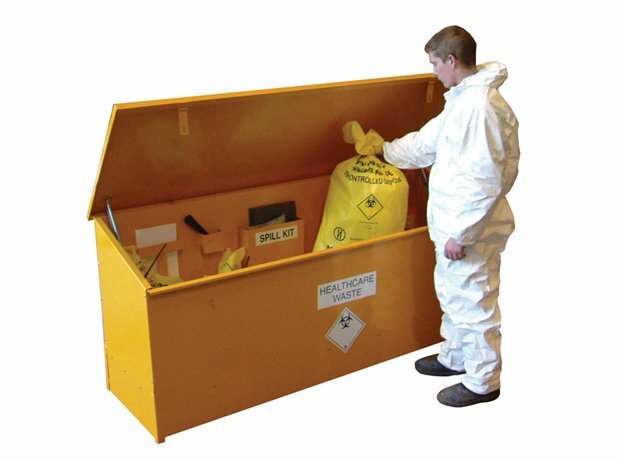 Clinical waste storage units are ideal for safe and secure storage of clinical waste and hazardous chemicals with anti vandal properties. Also available as bunkers, stores, and roller stores, the welded steel construction of our chemical waste storage units ensures maximum protection. Units can be custom built to meet your specific segregation, heating or lighting requirements.